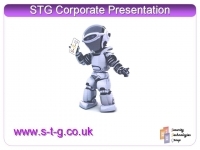 STG Corporate Presentation detailing who we are, what we do and why we do it. Click on the image on the left to run the presentation. Interview with Scott Lindley of Farpointe Data Inc.
Click on the "Play" button to run this interview. A presentation detailing the background of Farpointe Data Inc, and their products. This presentation outlines the features, benefits and differentiators of the complete Fartpointe Data range of products as distributed throughout EMEA by Security Technologies Group. Click on the image on the right to run the presentation. A presentation detailing the reporting capabilities of the Rota Horizon Staff Planning, Time & Attendance and Payroll Automation system by Thinking-Software.